Recorded Live at Hammersmith Palais, London, England - June 17, 1980. Ex-/VG+ Audience Recording :: Bootleg LP :: Lossless FLAC. Files: 31. :: Size: 594 MB (flac). 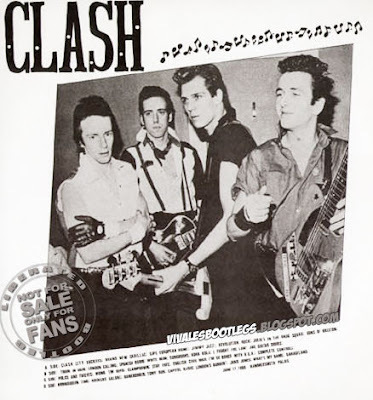 Personnel: Joe Strummer - vocals / guitar :: Mick Jones - guitar / vocals :: Paul Simonon - bass / vocals :: Nicky "Topper" Headon - drums / vocals. Notes: Here is the last show of 1980, and there would be no more live performances until April 1981, after Sandinista! was released. This is the second night of their only ever performances at the Hammersmith Palais. 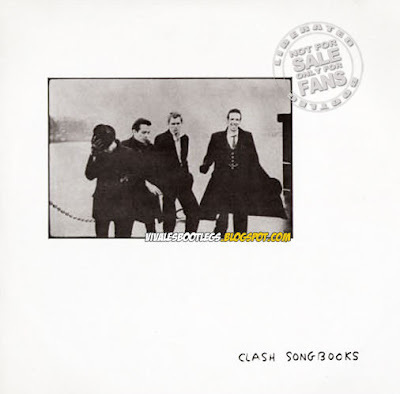 It is a nice audience recording taken straight from the rare bootleg LP Clash Songbooks. It seems to be from a master tape or a very low gen. There is no CD art, but I have included scans of the LP cover for reference. Notable features are an early "Somebody Got Murdered", the rarely played "Revolution Rock", and Mikey Dread again on the encore. Lineage: Vinyl LP > xAct (flac).<-(Info taken from original info file).. I love The Clash. Thank you very much for this!